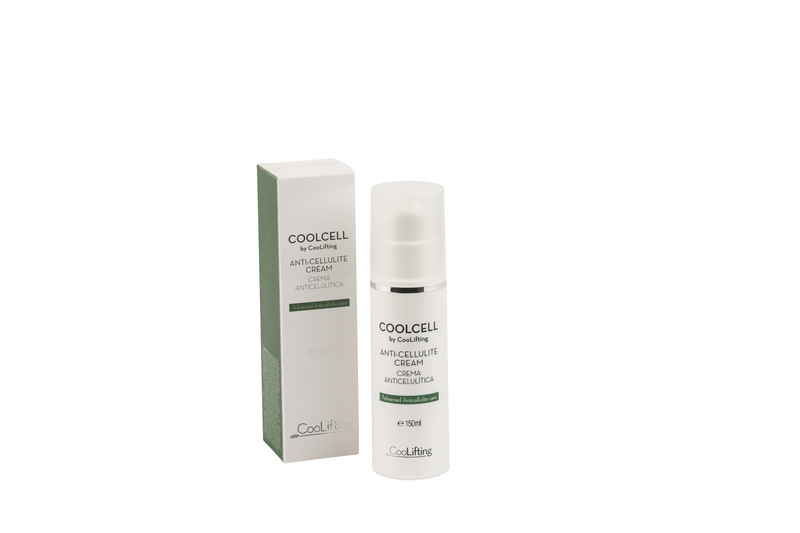 Moisturizing Gel Cream with an immediate firming effect. The cream is formulated with a high vitamin content to deliver the necessary nutrients to produce radiant skin. 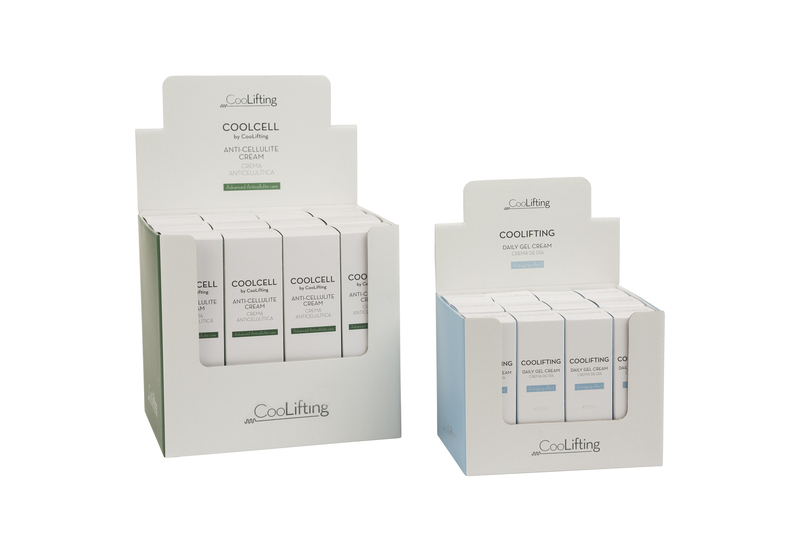 Thanks to its high hyaluronic acid content, it provides both skin moisturization and smooths out wrinkles. And as a final touch, several active ingredients combine to produce a skin lifting effect, stretching it and thus, helping to hide those tough wrinkle lines. Apply the cream to the facial surface until it is completely absorbed. An Anti-cellulite Gel Cream, which is specially developed by a highly-suitable means using multiple active ingredients expressly chosen to deal with cellulite and facilitate its drainage. Thanks to its heating effects, blood circulation reactivates to promote the drainage of retained fats and liquids. Enriched with a multivitamin complex to nourish the skin, it makes skin look its best again. Apply a large nut-sized amount of the product to the area that was treated with the Coolifting wand. Rub for 4 minutes, until it fully absorbs. Let the area rest for 1 to 2 minutes, and then rub again for 2 minutes. The deep heat sensation can last from 30 to 60 minutes.